Last week I received a follow-up question from a fellow developer about a presentation I did regarding Azure Key Vault and Azure Managed Identity. 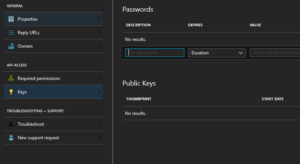 In this presentation I claimed, and quickly showed, how you can use these two offerings to store all the passwords, keys and certificates you need for your ASP.NET application in a secure storage (the Key Vault) and also avoid the problem of just getting another, new password to access that Key Vault. I have written a small ASP.NET application that reads just one very secure secret from an Azure Key Vault and displays it on the screen. Let’s dive into the infrastructure and code to make this work! The Azure subscription you are deploying this infrastructure to, is backed by an Azure Active Directory. This directory is the basis for all identity & access management within the subscription. This relation also links the Key Vault to that same AAD. This relation allows us to create access policies on the Key Vault that describe what operations (if any) any user in that directory can perform on the Key Vault. Applications can also be registered in an AAD and we can thus give them access to the Key Vault. However, how would an application authenticate itself to the AAD? This is where Managed Identity comes in. 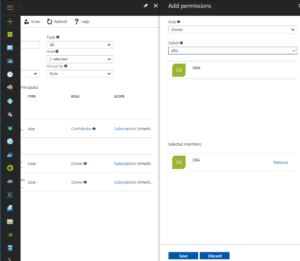 Managed Identity will create an service principal (application) in that same Active Directory that is backing the subscription. 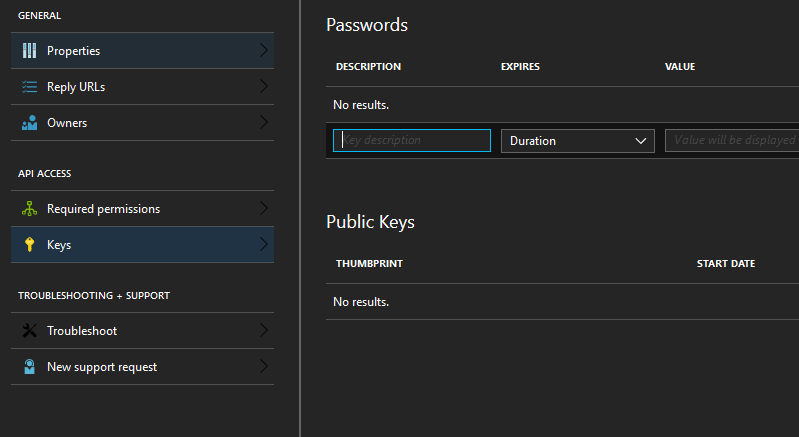 At runtime your Azure App Service will be provided with environment variables that allow you to authenticate without the use of passwords. 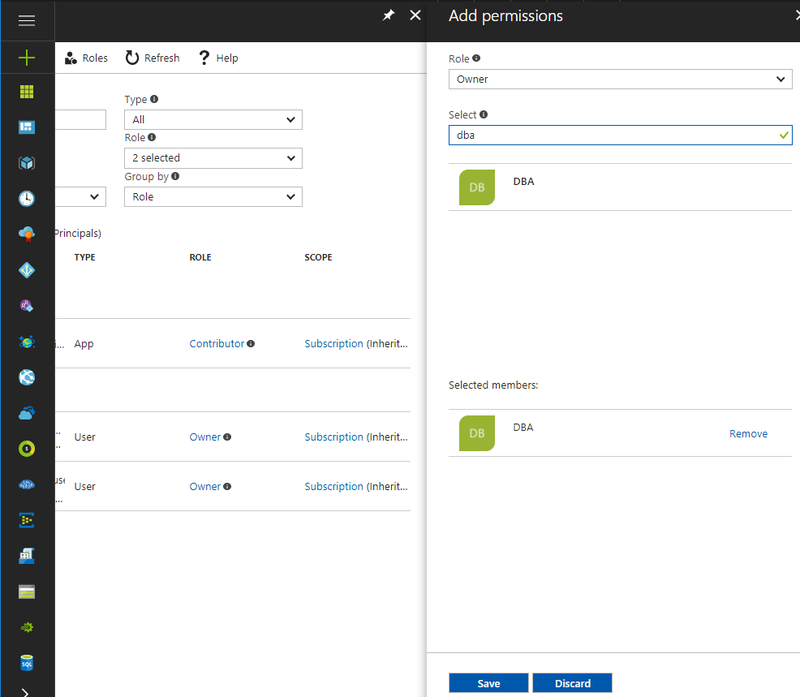 Here I am using some magic (that I just copy/pasted from MSDN) to refer back to my earlier deployed app service managed identity and retrieve the principalId and use that to create an access policy for that identity. First I check if we are running in an Azure App Service with Managed Identity enabled. This looks a bit hacky, but it is actually the recommended approach. Next, if running as an MI, I use the AzureSErviceTokenProvider (NuGet package: Microsoft.Azure.Services.AppAuthentication) to retrieve an AAD token. In turn I use that token to instantiate an KeyVaultClient (NuGet package: Microsoft.Azure.KeyVault) and use it to retrieve the secret. I hope to write two more blogs on this subject soon. One about using system to system authentication and authorization and not storing extra secrets into KeyVault and one about Config Builders, a new development for .NET Core 2.0 and .NET Framework 4.71 or higher. Over the last weeks I’ve been working with a customer who is migrating to VSTS for building and releasing desktop applications. For years they had been compiling their applications, signing their binaries and creating their setups on a dedicated machine using custom batch scripts that ran on MSBuild post-build only on that specific machine. After this, they copied the resulting installer to a FTP server for download by their customers. Moving to VSTS meant that their packaging process needed to be revisited. In this blog I will share a proof of concept that I did for them using VSTS, SignTool.exe and InnoSetup for building and releasing an installer. 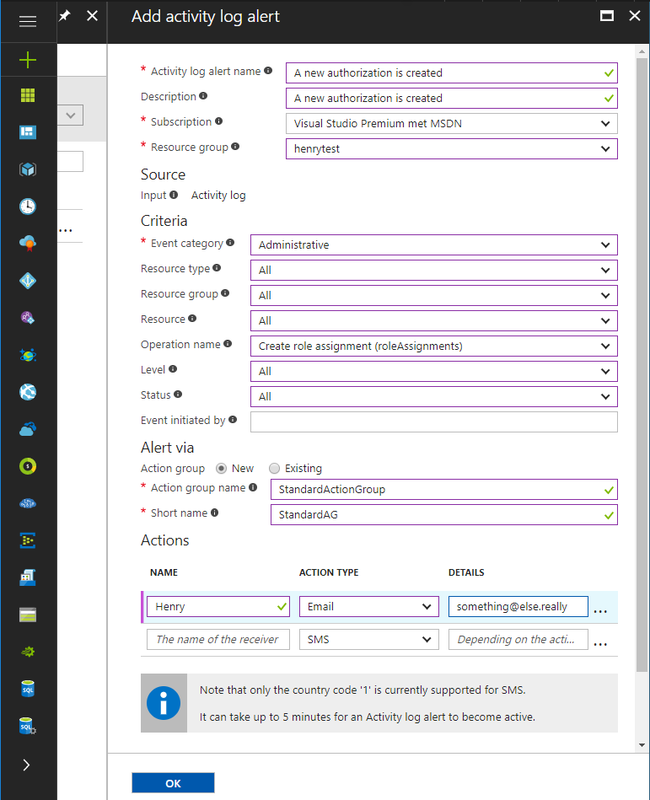 I wanted to proof that we could, securely, store all the code and configuration we needed in source control and configure VSTS build & release to create an setup file using InnoSetup and distribute that to our users using Azure Blob Storage. Message = "This is a very complicated Console application with a dependency on Newtonsoft.Json"
Next to this source code in Program.cs, I also added two more files: cert.pfx and setup.iss. The first is the certificate that I want to use for signing my executable. This file should be encrypted using a password and a decent algorithm (see here for a discussion of how to check that) so that we can safely store it in source control and reuse it later on. The second file is the configuration that we will use later on to create a Windows Setup that can install my application on the computer of a customer. After this, I created a VSTS build. After creating a default .NET Desktop build, I added two more tasks of type Command Line. The first task for signing my executable, the second for creating the setup. This requires that that I configure the first execution with an environment variable with name PASSWORD (lower right of the screenshot above), which I in turn retrieve from the variables of this build. This is the password that is used to access cert.pfx to perform the actual signing. This build variable is of the type secret and can thus not be retrieved from VSTS and will not be displayed in any log file. The second task of course requires InnoSetup to be installed on the build server. Finally, instead of copying the normal build output I am publishing an build artifact containing only the setup that was build in the previous step. All in all, it took me about an hour and a half to set this all up and proof that it was working. This shows how easy you can get going with continuous deployment of desktop applications. 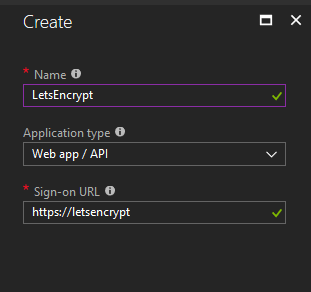 Last week I’ve been working on adding a Let’s encrypt certificate to an Azure Web App of a customer. Let’s encrypt provides free SSL certificates and as a Dutchie, I definitely love free stuff! To make this happen, there is a great Azure Web App extension out there, that you can add to your App site to enable adding and renewing a SSL certificate automatically. Next to this extension, there is a guide out there to help you install and configure it. 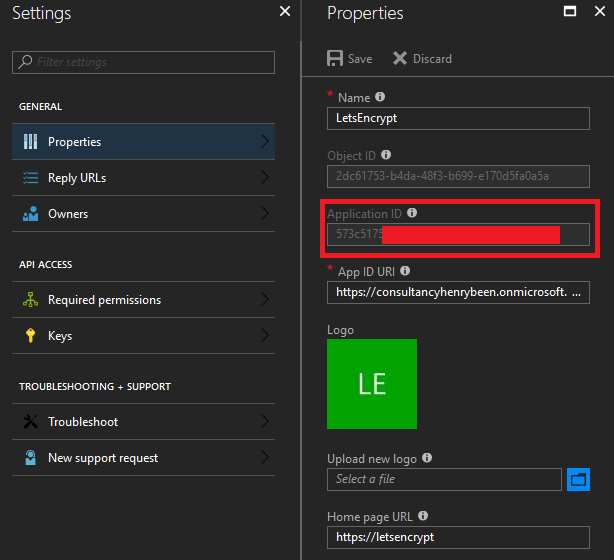 SSL certificates are now also available on Azure Web Apps that are running on the basic tier. You no longer have to upgrade to standard, but this tutorial will not work if you are using the free (F1) or dynamic (D1) App Service Plan. I am already using this Storage Account to support the webjob for a number of Azure Functions. Neither for this, nor the certificate renewal I need the guarantees that any form of replication beyond LRS offers. The extension, after being installed, has to be able to add the issued certificate to the App Service. To do this, it needs to access to the Azure Management API’s. Two things need to be set up, to make this work: authentication and authorization. For authentication an application needs to be registered with the Azure Active Directory. This can now be done in the Azure Portal. Unfortunately, we cannot do this via an ARM template since your Active Directory is not part of your subscription, but your Active Directory is outside your Azure subscription. 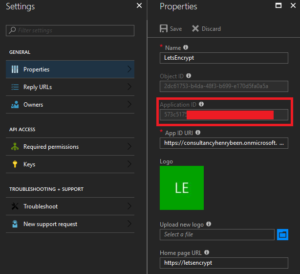 Note: Another approach might be to add an Azure Manged Service Identity to your App Service and re-engineer the let’s encrypt extension to leverage that. When the app registration is added, open it up and copy and store the Application ID. We will reuse it later under the name ClientId. Next, go the the tab ‘Key’s and generate a new key. Give it a new, make it never expire and after clicking ‘save,’ copy and store it. We will later reuse it under the name ClientSecret. Make sure you handle this key in a safe manner, it is a password! Please note that I am adding an authorisation scope. Omitting the scope, will apply the granted role on your whole subscription. Adding a scope will limit the granted role to our ResourceGroup. "message": "The request to create role assignment '87b50594-284f-4ad2-baa5-ef7505976836' is not valid. Role assignment scope '/subscriptions/a314c0b2-589c-4c47-a565-f34f64be939b/resourceGroups/ycc-test/providers/Microsoft.Web/Sites/yccdashboardtstAppService' must match the scope specified on the URI '/subscriptions/a314c0b2-589c-4c47-a565-f34f64be939b/resourcegroups/ycc-test'." Edit: I was mistaken here, on this page I show how to do RBAC Role Assignments on individual resources. However, in this case we still have to grant access to the whole Resourcegroup, since installing the certificate requires contributor on the whole Resourcegroup (See also this issue). Also note, that to issue role assignments, your VSTS endpoint has to have the owner role on the resourcegroup, not just Contributor. Weigh your options here. As you can see, I am leveraging the power of ARM as much as possible. I am not hardcoding any of the values for the tenant, subscriptionId or the resource group names. This way I maximize the reuse of values wherever possible, making my templates easier to maintain. After clicking next we are presented with a list of custom domains for which SSL certificates will be requested (and automatically renewed) for us. Press next one more time and your done!. As a true cloud born developer on the Microsoft stack, my ALM | DevOps solution of choice is VSTS. Next to this being the defacto standard in my environment (bubble), I believe it also is the best solution out there for building and releasing applications at this point in time. However when it comes to build & release agents, I still go for self-hosting my agents every single time. Although this might sound like more work, or more expensive, I believe it to still be the superior option when it comes to the cost/performance ratio. In this blog I will try to explain why this is so. In VSTS you get up to 240 free build minutes every month. Great! This might sound like enough for your purposes. However, you can spent these minutes only when an agent becomes available to service your build and release. And this is not so great. Often it takes a minute or two before this happens, so longer then anyone cares to wait for a build. Let alone for one to start. Also… do you really want to take the risk that you are out of free minutes, just when you need to quickly deliver a bug fix? Of course not. So relying on these free minutes is not a good idea. Neither from a performance perspective as from a risk/cost perspective. The alternative, Microsoft-CI/CD seems like the best way forward then. Just a couple of clicks and you have bought yourself a fully managed hosted agent for roughly $ 40 a month. These hosted agents are constructed before every single build (or release) and destructed right after. This way, a high level of isolation between builds is guaranteed, and you don’t have to wait for a shared agent to become available. A wonderful thing when working in the cloud. But there is also a dark side to this construction and destruction of agents. It means that executing a build or release will always be slow. Everything (task steps, sources and even NuGet packages) needs to be downloaded every single time. Especially when you are building small solutions that you want to build and release very quickly and in short iterations, these delays and the (lack of) performance in general of hosted agents becomes frustrating. A build that takes only two seconds on your development machine, might easily take up to five minutes on a private hosted agent. With this in mind, you want to consider running a self-hosted agent, what Microsoft calls self-hosted CI/CD. This means that you download the VSTS build agent from VSTS and install and run it on a machine of your own: an Azure VM for instance. Every VSTS account comes with support for one self-hosted agent and you can buy more pipelines for $ 15 a month. 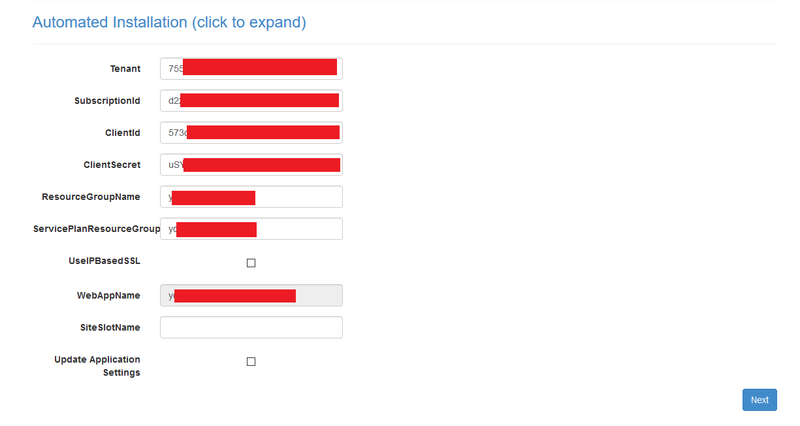 What this shows is that the build times of this particular build went from anywhere between four and six minutes, down to less than one minute! If you use your build machines only for a limited number of hours per day and not in the weekends, you can use Azure automation scripts to turn them on and off on demand. If done well, this can save you roughly 60% when adhering to working hours and weekends. This would make buying a VM from the D-series feasible. Another approach is not using a standard VM, but a B-series burstable VM. The results I talked about before, were achieved on an B2s VM, available for $ 47 a month. These type of VM’s do not always have the full capacity of the CPU, but are allowed to burst up to double of there CPU capacity when needed after underusing the CPU for a while. This unused/burst usage pattern fits really well with build agents. Next to this, they also support SSD disks. So in practice this will give you a VM with 4 cores and SSD storage for less than $ 50 a month. A very good price, looking at the performance benefits. In practice, the Microsoft-hosted CI/CD is often not fast enough. Not only due to the provisioning of agents, but also due to the lack of caching for package managers and general lack of performance on the VM. For this reason we are still stuck with self-hosting our CI/CD agents. However, this is possible without incurring (almost) any extra cost, while gaining five times the performance. Of course, this will leave you with the responsibility of patching the VM you are running your agents on. However, just patching Visual studio on one computer that allows for no incoming internet traffic is doable. Also, there is a great tutorial out there from Wouter de Kort, where he shares how you can create your own build agent image and keep it up to date automatically. Over the last couple of months I have been coaching a number of PHP teams to help them improve their software engineering practices. The main goals were to improve the quality of the product, ease of delivery and the overall maintainability of the code. If there is one thing that defines maintainable code, in my opinion, it is the existence of unit tests. However, one of the things that proved more difficult than one might expect is to start writing proper unit tests in an existing PHP solution. Reduce the duration of tests. Prior to this approach, a lot of tests were implemented as end-to-end, interface based tests. And boy, are they slow! After a number of weeks, we saw the first results coming in, so all of this worked out nicely. The goal of this post is to share the issues found that were preventing the team from proper unit testing and how we got around them. The first thing we ran into was the fact that it was impossible to instantiate any class from a unit test. There were two reasons for this. The first was that there was actual work done in the constructor of almost every class: calling a method on another class and/or hitting the database. This calls a global, static method app() to get the dependency container and then instantiates a class by type. Having this code in the constructor makes it completely impossible to new the class up from a unit test. First of all, calling methods or the database was quite easy to refactoring out of the constructors. Also, this is a thing that can easily be avoided when creating new classes. Now there is still one issue here and that is we are depending upon a concrete class, not an abstraction. This means, we are violation the Dependency Inversion principle. To fix this, we need to depend on an interface. However, now the Laravel dependency container no longer knows which type to provide to our class when instantiating it, since it cannot instantiate a class. Therefore, we have to configure a binding that maps the interface to the class. Having done this, we can now change our constructor to look as follows. Getting dependencies provided instead of instantiating them ourselves. From here on, I will share (roughly in order of preference) a number of approaches to get around this limitation. A quick and easy way to remove a decent portion of calls to global functions. If there is no interface readily available for constructor injection, we can create one ourselves. A common engineering trick is to move unmockable code to a new class. We then inject this to our subject at runtime. At test time however, we can then mock this wrapper and test our subject as much as possible. In my opinion, solution 2 is by far a better approach to take than solutions 3 and 4. However, if you are afraid that adding to much types might clutter your codebase or reduce the performance of your application, there are two more approaches available. Both have drawbacks, so I would only use them if you see no other way. If refactoring global static calls in you code to a new class is not an option and your code is organized into namespaces, there is another way we can mock calls to built-in PHP methods. In the file with our TestClass, we can add a new method with the same name in a namespace that is closer to the caller. As you can see, the class containing the hasFile() method is in a namespace called demo. We can create a new method, also called file_exists() in that same namespace, just before our TestClass. When executing, the methods in the namespace that is the closed to the caller will take precedence. The main drawback of this approach is that it reduces the readability of your code. Also, relying on method hiding for testing purposes might make your code harder to understand for those that do not grasp all the language details. Finally, your framework might provide its own means for mocking certain calls. In Laravel for example, there is a construct of Facades that you can also use for mocking purposes. Another example is the Carbon datetime convenience library that provides a global static Carbon::setTestNow() method. I hope that this blog gives you a number of approaches to make your PHP code more (unit)testable. Because we all know that only code that is continued tested in a pipeline, can quickly and easily be shipped fast and often to customers. March 25th, a Sunday, I got a direct message on Twitter from Christos Matskas, who I recently met at an event in the Netherlands. He asked if I could help host a meetup where his colleague Seth Juarez could come and give a presentation into deep learning and interact with developers interested in Machine Learning (what salespeople call Artificial Intelligence, according to Seth). Just one catch, it had to be either next Wednesday or Thursday. I rarely worry about anything, so neither did I that day. Seth is pretty well known, so it felt like an honor to be able to host a meetup with him and I figured that it wouldn’t be too hard to get a great audience. So, I said yes as soon as I got a company (IBIS Software) to sponsor the location. The next couple of days we spent on getting some PR for the just-once “pop-up meetup with Jeth Suarez.” This was actually (much) harder than expected, but we ended up with an enthusiastic crowd of over 25 people. As requested by a number of attendees I am sharing the slides Seth used. The event was also recorded and can be viewed back here. Again, thanks for being there Seth. IBIS, thanks for sponsoring a location, food and drinks! Ever wished you would receive a simple heads up when an Azure deployment fails? Ever troubleshooted an issue and looked for the button: “Tell me when this happens again?” Well, I just found it. 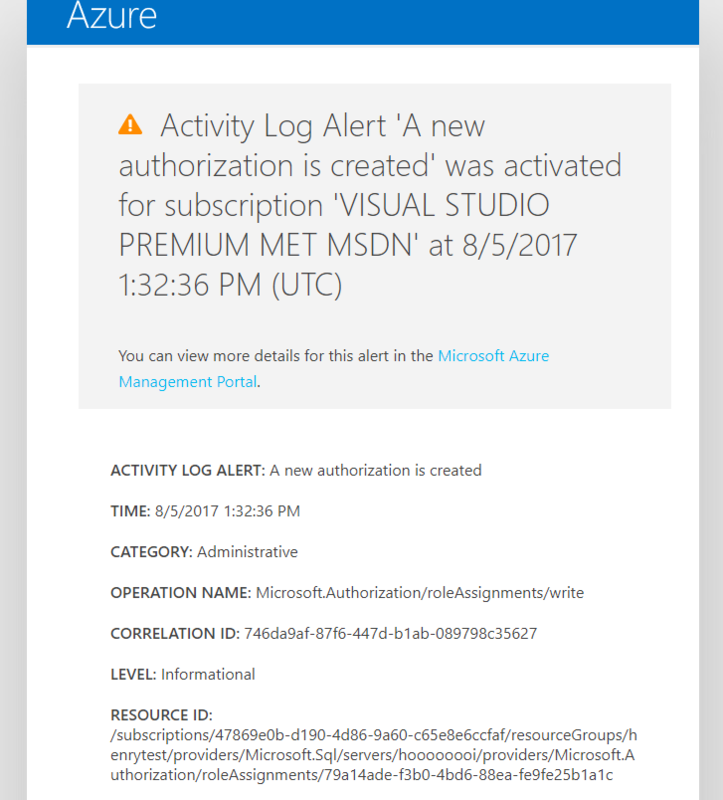 Yesterday I stumbled across a -for me (*) – new feature that is just amazing: azure activity log alerts. A feature to notify me when something specific happens. 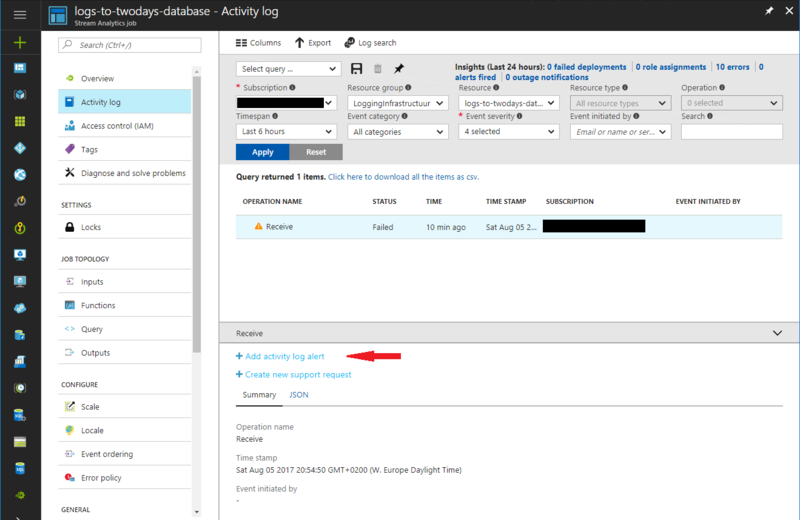 With the introduction of the Azure Resource Manager model, the activity log was also introduced. The activity log is an audit trail of all events that happen within your Azure subscription, either user initiated or events that originate in Azure itself. This is a tremendous powerfull feature in itself, however it has become more powerfull now. 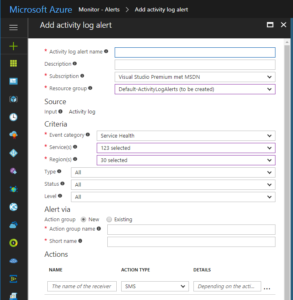 With azure activity log alerts you can create rules that automatically trigger and notify you when an event is emitted that you find interesting. 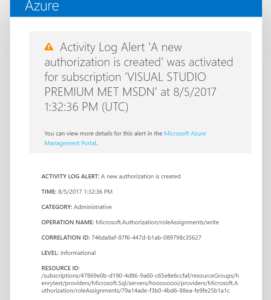 In this blog post I will detail two scenario’s where activity log alerts can help you out. Let’s say you are working with a large team on a large project or on a series of related projects. One thing that you might want to keep taps on, is people creating new authorizations. So let’s see if we can quickly set something up to send me an e-mail whenever this happens. Let’s start by spinning up the monitoring blade in the Azure portal. Finally, as you can see in the image below, every activity log alert is a resource in itself. Which means you can see them when you list a resourcegroup and that you can create them automatically using ARM templates. For example as part of your continuous delivery practice. Also possible. You can also have an webhook called as part of an actiongroup. This way you can easily hook up an Azure function to immediately remedy an issue, for example. As requested by some people in the audience, I am sharing the slides that I used on the DevOps Utrecht Meetup of april 18th. If there are any follow-up questions, feel free to contact me! The second day of this month, Microsoft announced two new libraries to interact with the Azure Event Hub. I was afraid we had a lot of rework coming our way, however this upgrade was one of the easiest I’ve ever done! Removed the old NuGET packages, added the new packages. Replaced SendBatchAsync() with SendAsync() and a small change in connectionstring and I was good. As you can see I’ve introduced a small quirk at line 45 to make this new code work with old connectionstrings that smells a bit However, it works like a charm and can easily be removed later on. Small quirks like these allow me to ship this code to systems that are still configured with a connectionstring that contains the TransportType property. This way I do not have to time the code and configuration upgrade of systems. I can just ship the code, ship the configuration change later and finally clean up the quirk. One of the better upgrade experiences. Thanx! I just read that there is a new T-SQL operator in town: STRING_AGG. Finally! Having worked with MySQL prior to moving (primarily) to Azure SQL DB, I have always missed a T-SQL equivalent to GROUP_CONCAT.